Endowment gifts create pools of funds that provide ongoing financial support for specific purposes. In 2015, the MU Libraries endowment pool reached $10 million, which annually yields some $500,000, primarily to support the growth and maintenance of our book and journal collections. In the current capital campaign, we seek additional endowment funding to support library programs and senior staff positions. Donations in the amount of $25,000 or more are required to establish a named endowment fund for a specific purpose, such as building collections of scholarly materials, maintaining or renovating facilities and supporting specific programs or positions in the libraries. Named endowments, and any endowment gift also leads to automatic membership in the University’s Jefferson Club. During the 100th anniversary year of Ellis Library in 2015-2016, the MU Libraries Centennial Fund has been established as an unrestricted fund to provide flexible funding for the Director of Libraries to pursue strategic priorities and to address short-term opportunities that often arise. Unrestricted donations in any amount will be placed in the fund, and donors of $25,000 or more will receive name-recognition as a “Cornerstone Donor” to the Centennial Fund. For further information, contact Matt Gaunt, MU Libraries Director of Advancement, in Ellis Library, at gauntm@missouri.edu, or phone 573-884-8645. This fund was established by Friends of the MU Libraries in honor of Martha S. Alexander for her service to the University as MU Libraries Director from August 1, 1990 until her retirement on April 12, 2002. This fund shall be used for the purchase of library materials for the MU Libraries. This endowment was established under the last will & testament of Jean D. Alford to be used for the general support of Ellis Library in memory of her husband, James Strickler Alford. Robert A. Almony and the Jalali family established this endowment in 1995 to support and enhance collections about the Baha’I faith at the University Libraries. This endowment was established by George and Elizabeth Ashley (now deceased) for the benefit of the University Libraries. They directed that the fund be operated and managed under the terms of the challenge grant from the National Endowment for the Humanities Development Fund. This endowment was established by George and Elizabeth Ashley (now deceased) for the benefit of the University Libraries. They directed that the fund be operated and managed under the terms of the challenge grant from the National Endowment for the Humanities Preservation Fund. This endowed fund was created in 2007 in memory of Barbara Lee Atherton for the purchase of books, paper and materials in the field of pathology as may be required by the medical library of the University of Missouri. 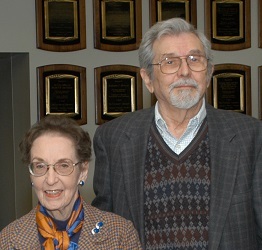 Lewis and Mary Atheron established this endowment in 1989 to be used by Ellis Library to acquire books and periodicals in the areas of American history and American literature. This endowment was established in 2017 in memory of Professor Asit P. Basu, by his wife Mrs. Sandra Basu. 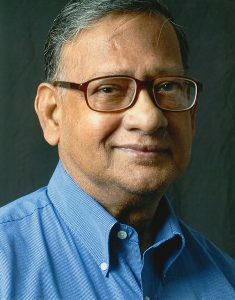 Dr. Basu was a professor in the Department of Statistics from 1974 until his retirement in 2002. He served as Chairman of that department from 1976 to 1983. The endowment is for the purchase of books and subscriptions for the Mathematical Sciences Library. 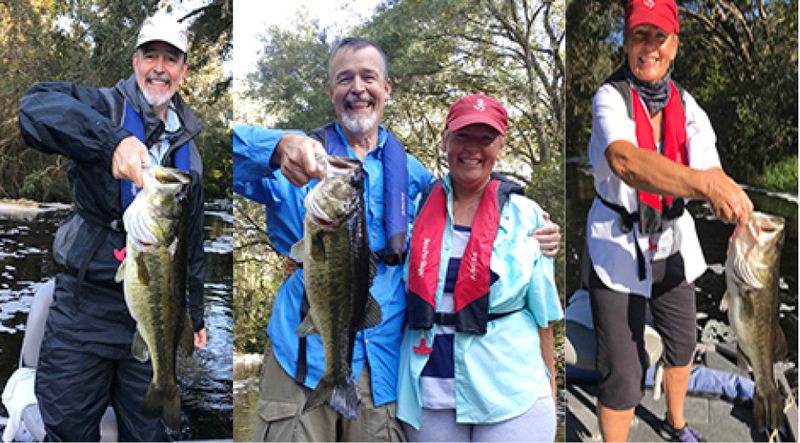 June and Gary DeWeese, Midge Pinkerton and Dr. Jim Pinkerton established this endowment in 2005 in memory of their friend and former librarian, Alma A. Bennett, to support collections in the social sciences. Mr. Brenner established a Charitable Remainder Annuity trust and directed one-half of the interest to be used to purchase Judaic materials for the University Libraries. The remaining one-half was used to establish a permanently endowed fund at MU to benefit the University Libraries in the building of research level collections of Judaic material. The fund is to be used under the guidelines of the National Endowment for the Humanities grant, and qualifies to receive matching funds under the terms of that grant. This library fund was established by Mrs. Brownlee in her and her husband’s name to benefit the University Libraries under the terms of the challenge grant from the National Endowment for the Humanities Development Fund. This library fund was established by Mrs. Brownlee in her and her husband’s name to benefit the University Libraries under the terms of the challenge grant from the National Endowment for the Humanities Preservation Fund. The MU Chancellor’s Office and Dr. Richard Wallace, Chancellor Emeritus, provided the funds in 2001 to establish this endowment to provide unrestricted support for the University Libraries. Miss Ruby J. Cline, along with students, friends and colleagues, established the Ruby J. Cline Physical Education Scholarship Fund in 1969. This fund provided scholarship awards to women students in the College of Education who were specializing in the field of Physical Education. In 1996, after the University eliminated the Department of Health and Exercise Sciences, Miss Cline rescinded the original endowment document to establish this fund for the unrestricted support of the MU Libraries. This fund was established in honor of Jim Cogswell, Director of MU Libraries from 2002-2016, after announcement of his retirement. The endowment shall be used to fund travel to support the professional development of staff and librarians at the University of Missouri Libraries. Sam B. Cook established this library endowment while he was a Curator in the University of Missouri System. 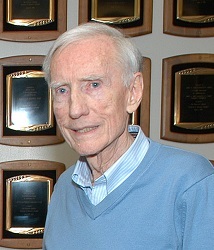 During his tenure as a Curator, Mr. Cook articulated a clear conviction that the University must achieve higher levels of academic excellence, a conviction he still holds and desires to promote; and he demonstrated his willingness to help advance the University’s academic mission by serving as a generous benefactor. Mr. Cook has made a great investment in the future of the University by providing a significant financial gift to enhance the teaching and study of free market economics on the University of Missouri campus. 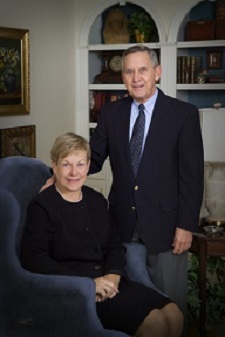 William and Carol Crabb created this endowment, originally named the Ellis Library Endowment, in 1987 for the general support of Ellis Library. The endowment was renamed in honor of Carol P. Crabb after she passed away in 1990. Mrs. Mary Manley Crouch established this endowment in memory of her husband, Dr. F. Richard Crouch, to benefit the University’s Ellis Library. From her gift, 20% of the monies were used for the Colonnade Project in Ellis Library and the remaining 80% was used to establish this unrestricted endowment fund. This library endowment was established by Dr. Noble E. and Dana Cunningham, Jr.,to purchase materials for the MU Libraries in the area of American history. They directed that the fund be operated and managed under the terms of the challenge grant from the National Endowment for the Humanities Development Fund. This library endowment was established by Dr. Noble E. and Dana Cunningham, Jr.,to purchase materials for the MU Libraries in the area of American history. They directed that the fund be operated and managed under the terms of the challenge grant from the National Endowment for the Humanities Preservation Fund. James L. Stewart and other journalism former students donated money for the the purpose of establishing a permanently endowed fund at the University of Missouri in honor of their former journalism instructor, W. David Dugan, Jr. This endowment will provide funds for the purchase of materials for the School of Journalism Library on the University of Missouri campus. 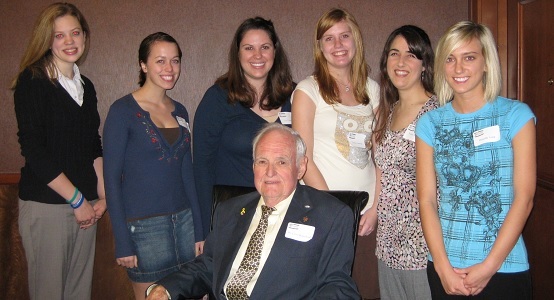 This endowment was established by friends, family and colleagues in memory of Dr. Elmer Ellis in 1990. 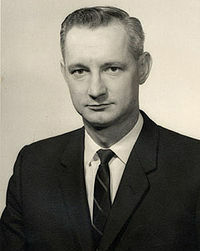 Dr. Ellis served as President of the University from 1954 to 1966, and was president at the time that the Kansas City and St. Louis campuses were added to the system. The fund in his memory is for the benefit of Ellis Library on the Columbia campus. Ruth and Elmer Ellis originally created the Elmer and Ruth C. Ellis Pooled Income Fund to benefit the University of Missouri campus. 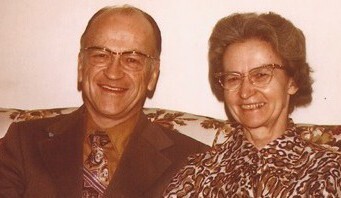 Dr. Ellis died in 1989 and Mrs. Ellis in 2000. The remainder interest in that fund was directed to an endowment fund in Ruth’s name to benefit Ellis Library on the University of Missouri campus. Sarah English Young and John E. Young established a permanent endowment fund in 2003 for the benefit of the MU Libraries in memory of Sarah’s mother, Elizabeth Minter English. The endowment will provide funds for the acquisition of books about social studies in Ellis Library. Caroline M. French created this endowment for the support of MU Libraries. The fund is to be used under the guidelines of the National Endowment for the Humanities Development fund, and qualifies to receive matching funds under the terms of that grant. This permanent endowment was named to honor Caroline and her late husband, William L. French. Caroline M. French created this endowment for the support of MU Libraries. The fund is to be used under the guidelines of the National Endowment for the Humanities Preservation fund, and qualifies to receive matching funds under the terms of that grant. This permanent endowment was named to honor Caroline and her late husband, William L. French. For more than 50 years, the Friends of the MU Libraries have supported the MU Libraries’ fundraising efforts, from donations of library materials to projects such as the renovation of the Friends Colonnade in Ellis Library. In 2006, they established the Friends of the Libraries Endowment Fund to help provide support for the general library collections. This endowment was established by a bequest from Olive Gilbreath-McLorn to be used for the purchase of materials for the collections of the University of Missouri Libraries and the State Historical Society of Missouri. This library fund was established by Nancy Ginn Martin in memory of her mother, Rosemary Bewick Lucas Ginn. 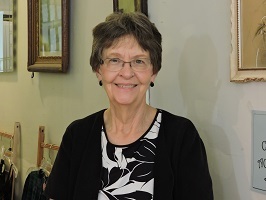 Mrs. Ginn’s devotion to Ellis Library was ongoing, from the time she spent there as an undergraduate to her time serving as a Friends of the Libraries council member in the early 1990’s. This fund provides unrestricted support for the Libraries, at the discretion of the Director of Libraries. Dr. E. Rutledge Gish established this fund in 1991 to be used for book preservation in Ellis Library. The fund is to be expended at the direction of the Director of Libraries, and within the guidelines of the NEH Libraries Preservation Fund. Sally and Don Schilling established the Government Documents Endowed Fund for the purchase of materials to support research in U.S. Federal and/or Missouri State Government Documents. Sally Schilling is the former head of Government Documents at Ellis Library. Her husband, Don, is professor emeritus of economics and former chair of the Faculty Library Committee. This endowment was established from an estate gift from the Robert K. Griffin and Ruth E. Griffin Living Trust for the purpose of purchasing books for the main library of the University of Missouri. 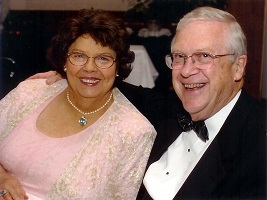 Lloyd and Lucille Hubbard established this fund in memory of Laura and Clark Hubbard for the benefit of Ellis Library on the University of Missouri campus. This fund shall be used to acquire books and journals for Ellis Library. Thanks to the support of Katharine Hunvald, Ph.D. ’04, the MU Libraries have the only endowment in the country devoted to Interlibrary Loan (ILL). ILL is a service whereby a user of one library can borrow books or receive copies of documents that are owned by another library. Hunvald, who graduated with degrees in art history from Vassar in 1952 and Radcliffe in 1953 had always wanted to finish her research and complete a doctoral program. After raising a family with her husband Dr. Edward H. Hunvald, Jr., an emeritus professor of law at MU, she decided it was her time to complete her studies. While doing research for her dissertation on early medieval metalwork, she found that the MU Libraries art history collection was excellent and comparable to the collections at Vassar and Harvard. But she also found there were quite a few materials she needed that weren’t in the MU Libraries. MU Libraries’ ILL department was able to provide her with many of these materials. They were able to request materials from libraries throughout the world. But Hunvald finally put in an ILL request, for an article from a Swiss archaeology journal, that could not be filled because the cost of borrowing the item was too expensive. This led Hunvald to create an endowment for ILL, so that researchers would be able to access the materials they need regardless of the expense. Family, friends and colleagues of Patricia K. Ives donated monetary gifts in her memory to establish a permanently endowed library fund on the University of Missouri campus. 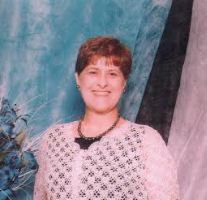 Patricia K. Ives passed away on January 5, 2005 after a four-year hard-fought battle with cancer that exemplifies her character, courage, strength, and determination. 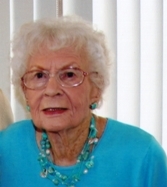 During her lifetime, she worked as an archivist, library assistant, researcher, and development officer. Although her history degree was from the University of Iowa, she easily developed a deep and abiding interest in, and loyalty to, the University of Missouri during her 34-year employment there. She believed sincerely in doing whatever she could, wherever she could, to further and support the goals, values, and programs of MU. Pat was a strong advocate of good education in general. Helen Montgomery Jenkins provided the gift of books to the Ellis Library Special Collections department through her estate. The collections of books consisted primarily of first editions of Rudyard Kipling and William Faulkner, and twenty-two “fore-edge” books. In additon to the gift of books, Ms. Jenkins provided for an additional bequest to be used in support of the book collection. The Kansas City Chapter of the MU Alumni Association established this fund for support of the University of Missouri Libraries, to be used under the guidelines of the National Endowment for the Humanities grant, and qualified to receive matching funds under the terms of that grant. Mrs. Lewis Kensigner established this fund in 1989 for the benefit of Ellis Library on the University of Missouri campus. This fund shall be used purchase library materials for Ellis Library. Tom and Nell Lafferre met while both attending Mizzou. After Tom graduated from MU with a bachelor’s degree in engineering in 1956, they moved to St. Louis, where Tom worked for Monsanto and Nell completed her education from the University of Missouri-St. Louis and worked as a first-grade teacher. 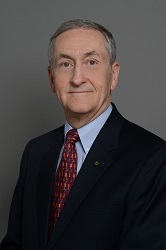 He retired in 1993 as vice president of operations for the company. The Lafferres have been very active supporters of MU, and the Engineering Building is named after them. The Lafferres established this endowment to support the purchase of materials in the Engineering Library and Technology Commons. 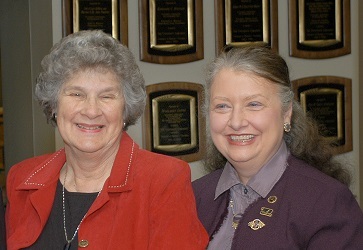 This endowment was established by Dr. Mary Lago in 1999 to benefit the MU Libraries. 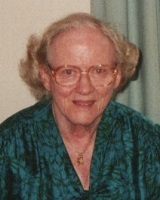 Mary was on the University of Missouri Department of English faculty from 1977 to 1991. Her research interests included the intersection of British and Indian literature at the turn of the century and the Edwardian art scene. After receiving her B.A. in English from Bucknell University in 1940, she moved to New York where she met her future husband, Gladwyn V. Lago. They moved to Columbia, Missouri, where Gladwyn assumed a faculty position in the Engineering School. Lago eventually earned her M.A. and PhD from the University of Missouri. After teaching as an instructor in the department from 1971-1977, she was appointed Associate Professor in 1977, full Professor in 1979, and named Professor Emerita in 1991. She passed away in 2001. She bequethed her extensive collection of manuscripts and books to the MU Libraries. The annual distribution of her endowment is divided evenly between purchases in the Humanities and unrestricted use by the Libraries. Friends and colleagues of Linda L’Hote have established a permanently endowed fund in honor of Linda’s retirement from the University of Missouri in appreciation of her service and contributions. This fund shall be used to purchase and maintain scholarly library materials about Thomas Jefferson and his era for Ellis Library on the University of Missouri campus. 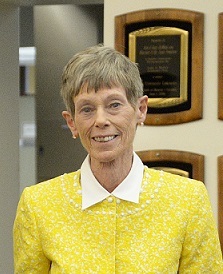 Linda L’Hote retired from the University of Missouri in April 2013 after more than 25 years of service. During that time, she held a variety of roles within development and was a key factor in the University’s success during the For All We Call Mizzou campaign. Linda’s efforts over the years are reflected in our students, our buildings, and our programs. Her guidance and leadership enhanced each trustee’s relationship with our alma mater and our support of the university. To provide support for the purchase of children’s literature for the MU Libraries. 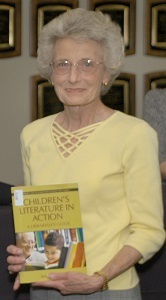 Martha Mares Lebo established this endowment in 2004 to provide support for the purchase of children’s literature for the MU Libraries. In any given year, if it is the opinion of the Director of the MU Libraries that no purchases are needed in children’s literature, then for that year, expenditures from the fund may be made for the purchase of other library materials. Kenneth R. Mares established this endowment in 1995 to provide unrestricted support for the University Libraries. 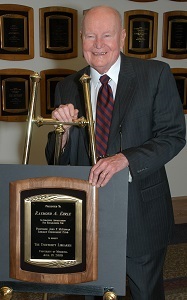 The endowment is named for both Ken and in memory of his father, Ernest W. Mares. This endowment was established by Dr. Raymond Erhle to honor Prof. John F. McGowan through the Honor with Books Program at the MU Libraries. Dr. McGowan is a Professor Emeritus at the University of Missouri School of Education specializing in the field of Counseling Psychology. This endowment is used to purchase books in the fields of Counseling, Rehabilitation Counseling, Mental Health and Counseling Psychology. This endowment was established by SBC Communication, Inc., Boone County National Bank, alumni, friends and colleagues of Dr. Haskell and Mrs. Jo Monroe in their honor to benefit the University Libraries. The University family established this fund to say thank you to the Monroes for their service to MU and the community, and to recognize Dr. Monroe’s leadership in promoting public and private resources to enhance the University Libraries. This fund is to be used for the acquisitions of printed materials in southern history (including Missouri). This endowed fund, created in 1988, shall be for the unrestricted support of Ellis Library at the discretion of the Director of Libraries. The MU Student Foundation created this endowment in 1999 for unrestricted use by the MU Libraries, at the discretion of the Director of the Libraries. The National Endowment for the Humanities Libraries Development Fund was created in 1991 to provide for expenditures in the areas of history, jurisprudence, philosophy, languages, linguistics, literature, archeology, the history, theory and criticism of the arts, ethics, comparative religion, and those aspects of the social sciences that employ historical or philosophical approaches. Approval of expenditures will be made at the discretion of the Director, University Libraries, or by a committee or persons authorized to act in his/her behalf. The National Endowment for the Humanities Libraries Preservation Fund was created in 1991 to provide for expenditures in the areas of history, jurisprudence, philosophy, languages, linguistics, literature, archeology, the history, theory and criticism of the arts, ethics, comparative religion, and those aspects of the social sciences that employ historical or philosophical approaches. Approval of expenditures will be made at the discretion of the Director, University Libraries, or by a committee or persons authorized to act in his/her behalf. Expenditures may be made to convert text to other formats or to purchase preservation supplies, materials, or equipment and to employ staff to support these programs. The James B. Nutter Family established this fund in 1992 to support Ellis Library under the guidelines of the National Endowment for the Humanities Libraries Preservation Fund, and qualify to receive matching funds under the terms of that grant. The James B. Nutter Family established this fund in 1992 to support Ellis Library under the guidelines of the National Endowment for the Humanities Development Fund, and qualify to receive matching funds under the terms of that grant. This fund was established by Mr. Doyle Patterson along with friends and colleagues for the support of MU Libraries. These gifts are to be used under the guildelines of the National Endowment for the Humanities Development Fund, and qualify to receive matching funds under the terms of that grant. This fund was established by Mr. Doyle Patterson along with friends and colleagues for the support of MU Libraries. These gifts are to be used under the guildelines of the National Endowment for the Humanities Preservation Fund, and qualify to receive matching funds under the terms of that grant. Mr. William Puntam established this fund in 1982 in memory of his wife, Joan. This fund is to be used for the purchase of materials for the Ellis Library collection, with a preference for art books. 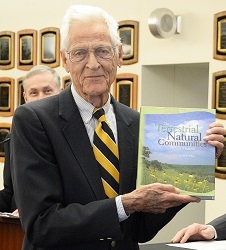 This endowment was established by then Chancellor Haskell Monroe to honor Peter H. Raven for his years of dedicated service to MU. 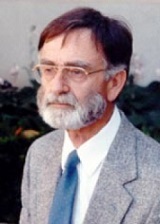 Dr. Raven served on the Board of Curators from December 1985 – January 1991. The endowment shall be used to purchase books for Ellis Library, with a preference for books in the area of botany. Dr. Edward Coe established this endowment in honor of Dr. George P. Redei, MU professor of genetics, and a pioneer in his field. This fund provides support for the acquisition of materials in molecular biology, genetics, and bioethics for the MU Libraries. 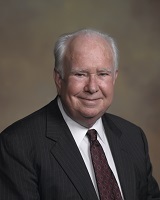 This endowment was established by Dr. Gene Ridenhour in memory of his wife, Ruth. Mrs. Ruth Ridenhour was a long-time resident of Columbia and worked for eight years at what is now Ellis Library. 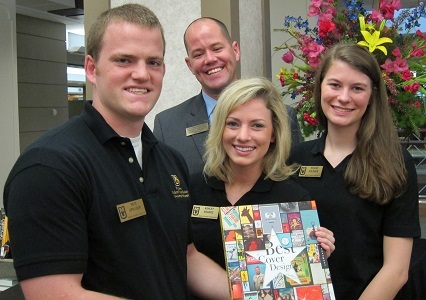 This fund provides support for the MU Libraries Student Ambassadors Program. 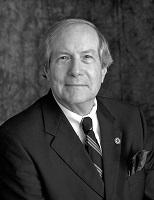 Don Sanders, an MU law school graduate, began his career as an attorney in Columbia in 1959. He served for two decades in Washington, D.C., working for the FBI, the House Committee on International Security, and as a Senate lawyer on the Watergate Committee. It was Sanders who posed what many consider the most important question of the entire Watergate era when he aksed Alexander Butterfield “if he knew of any reason why the President would take John Dean to a corner of a room and speak to him in a quiet voice.” It was in response to this question that it was revealed that President Nixon had a recording system in the White House. This exchange can be found in the private “Watergate” papers of Sanders, whose historic collection was donated to the MU Libraries in 2005 by the Sanders family and his widow, Dolores Sanders Mead. The Sanders Collection Endowment provides support for the maintenance and promotion of this collection. Ms. Mahala Saville establish this fund in 1967 for the use and benefit of the University of Missouri Library. Carl and John Schweitzer were brothers and both graduates of the University of Missouri School of Business. They were also generous donors to the MU Libraries. 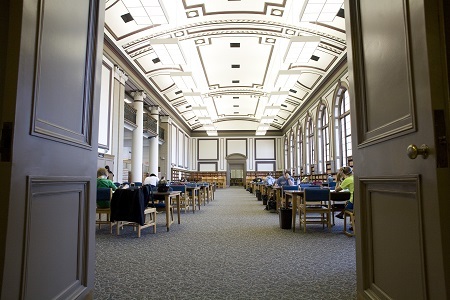 The brothers established the library endowment in 1993 to be distributed through the National Endowment for the Humanities Libraries Development Fund, at the direction of the Director of the University of Missouri Library. The University received a bequest from the Last Will and Testament of Alice Ernstine Ernst Seiter in 1989 for the use and benefit of the Elmer Ellis Library at the University of Missouri. The Sigma Chi Foundation established this endowment in 1995 to provide unrestricted support for the benefit of the MU Libraries. Dr. Anne Peters and family established this permanently endowed fund in 2016 at the University of Missouri in honor of her mother, Virginia Stauffer Peters, and her uncle, William A. Stauffer. This fund will provide support for sponsored events at MU Libraries. Rip and Marni Strautman created this endowment in 2016 to help enhance the collections of the MU Library System on the University of Missouri campus. Mrs. Juanita B. Stuckey and her parents created this endowment in memory of her son, Robert J. Stuckey. This endowment was created to award prizes to worthy high school students who have demonstrated their sincere interest in good books and their desire to start a collection of their own. Since 1996, the endowment has been used to sponsor an annual essay contest for all Missouri high school students. Volunteers from the Friends of the Libraries Council serve as judges for this annual contest. The winners of the contest are presented with their awards at the Friends of the Libraries Annual Luncheon every year. Charles and Patricia Timberlake have established a permanently endowed fund at the University of Missouri to support the acquisition of materials relating to Russian history, culture, and mass media for the MU Libraries. 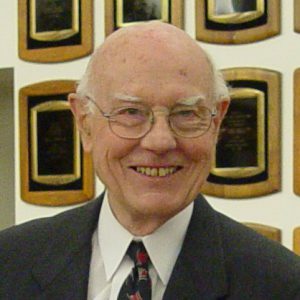 Dr. Charles Timberlake taught undergraduate and graduate courses on Russian history at MU from 1967 to 2004 where he was recognized by the MU Alumni Association with a Faculty Award in 1990 and the Distinguished Faculty Award in 2000. Throughout this entire period he devoted great amounts of time and energy to improving and expanding services and library materials for the MU Libraries. He was for many years the History Department’s liaison with Ellis Library. He also served on several occasions on the campus-wide Library Committee, including one term as its chair. 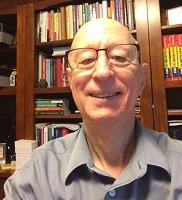 He was for many years a member of the Faculty Council’s Library Scholarship Policy Task Force and he was a member of the University-wide Committee on the Remote Storage Facility. Over the course of many summers, he purchased dozens of books in Russia, for a small fraction of their imported cost in the United States, and transported them to Ellis Library in his suitcases. Such purchases helped create an excellent collection on Russian studies at the Libraries. At the MU Libraries, Pat Timberlake was initially the Head of the MU Science Library and then became Assistant Head of Ellis Reference. From 1991 to 2003 she was Head of the MU Journalism Library where she developed an extensive instruction program. At MU, she received two MA degrees, the first in Library Science and the second in History of Science. Known as a promoter of internationalizing the curriculum at MU, she was until retirement a member of the MU Council on International Initiatives where she successfully worked to make librarians eligible to participate in MU’s Global Scholars Program. Concomitantly, she had special responsibility for building library collections in new international areas opened by MU faculty. 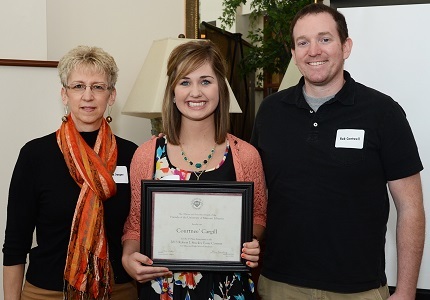 She served for several years as the MU Library representative to the Faculty Council. This endowment was established by Jeanne and David Toombs in 1993 to support the College of Business students and faculty. Expenditures shall be at the direction of University Libraries in consultation with the Dean of the College of Business. This endowment was created in 1993 for the preservation and conservation of books within the Rare Books Collection of Ellis Library in the fields of American exploration, travel and American topography, and Native American Studies. 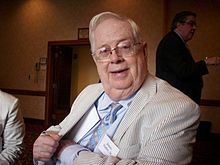 Preservation and conservation of the books donated by Mr. Trogdon should be the first consideration, followed by the holdings in the Rare Books Collection. Mr. Trogdon desires that Ellis Library, or its successor, have a first-rate collection of books — not electronically stored material — in the fields mentioned above, so that later generations of Missourians can enjoy this aspect of our shared American past. This endowment was established under the guidelines of the National Endowment for the Humanities Preservation Fund, and qualified to receive matching funds under the terms of that grant. Friends and colleagues of Chancellor Richard L. and Mrs. Patricia Wallace tendered gifts for the creation of the Richard L. and Patricia Wallace Library Endowment in honor of Chancellor Wallace’s retirement in August 2004. This fund provides support for the acquisition of materials in new or expanding areas of scholarship and research in Ellis Library. Henry J. Waters III established this fund in 1992 to be used under the guidelines of the National Endowment for the Humanities Development Fund, and qualifies to receive matching funds under the terms of that grant. Henry J. Waters III established this fund in 1992 to be used under the guidelines of the National Endowment for the Humanities Preservation Fund, and qualifies to receive matching funds under the terms of that grant. Raymond A. Young established this permanently endowed fund at the University of Missouri Libraries in 1991 in honor of his wife, Dr. Virginia G. Young. Virginia was a lifetime Friends of the Libraries member, member of the Missouri Coordinating Board for Higher Education, president of the American Library Trustee Association, and a member of the Advisory Committee for the White House Conference on Library and Information Services. The distribution from this fund is to be used under the guidelines of the National Endowment for the Humanities Development Fund, and qualifies to receive matching funds under the terms of that grant. Raymond A. Young established this permanently endowed fund at the University of Missouri Libraries in 1991 in honor of his wife, Dr. Virginia G. Young. Virginia was a lifetime Friends of the Libraries member, a member of the Missouri Coordinating Board for Higher Education, president of the American Library Trustee Association, and a member of the Advisory Committee for the White House Conference on Library and Information Services. The distribution from this fund is to be used under the guidelines of the National Endowment for the Humanities Preservation Fund, and qualifies to receive matching funds under the terms of that grant.